Back in the water that is. It’s already been 5 years since my swimming career came to a halt and it’s been 4 years since I’ve swam regularly. Man have I missed the smell of chlorine. There’s nothing quite like licking your skin hours after being in the pool and getting a big whiff of it. Chlorine and the pool put me in a happy place, especially now because it’s my alone time. No kids. Just me. Ahhhh, so nice. This morning, after dropping Lil off at school, O and I took our first trip to the health club. I was a little worried that Odin would have a meltdown in the childcare center and one of the workers would come get me. I was expecting it. Actually, truth be told I was expecting not to even make it into the pool today. I figured we’d have to make multiple trips to the childcare center to let O get acclimated before I’d be able to leave him. These were my expectations because I tried a health club membership when Lilly was O’s age. She refused to stay in the childcare center without sobbing in the fetal position the entire time I was gone. It was a pathetic sight. As it turns out, O is not like his sister and simply waved as I walked out. I’m ecstatic to report that I was left in peace for my entire workout. 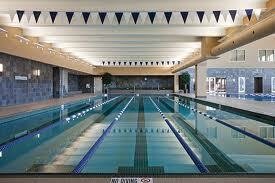 I swam for 45 minutes and got 2000 yards in. The first 300 yards were brutal as my arms protested the repetitive strokes. Lots of stretching ensued. I was doing open turns due to my pregnant state and feeling like an amateur. I finally sucked it up and tried a flip turn. I was successful and all was well with my psyche after that. I feel like I have regained a little piece of my former self. Ya know, the person I was before kids ruled my life. I’m working on being able to classify myself as an athlete again. Of course, in just about 8 weeks I’ll have to put my membership on hold for 4 months until I can put the newbie in childcare but It’s going to be a great 8 weeks. And as an added bonus Lil is now signed up for swim lessons! It starts this week and goes right up to my due date which, as long as everything goes according to plan, should be perfect. I’m currently a little exhausted and following my workout I was ravenous but it feels so good and working out puts me in such a better mental state. O is currently messing with that good mental state as he is protesting his nap meaning I won’t be able to take a little rest. STINKER! Oh well. Life is good!